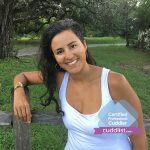 In this episode of Cuddlist Talk with Janet Trevino, Janet explored how experiencing Professional Cuddling can make you a much better date. The dating world is extremely tough and sometimes we all wished we knew how to navigate through all of the signals, the pressures, and how to compose ourselves through all of it. We discovered how this works through 4 extremely helpful ways. Coming to Cuddlist allows you to integrate. We are always thinking and overanalyzing all different types of situations. Cuddlist can allow you to find that balance that will let you get inside of your body and simply slow down, feel and create that balance you so desire. Cuddling allows you to see and feel in new and exciting ways. Experiencing an open heart and a open mind. Your senses elevate and you feel the world in a whole new way. Cuddlist allows you to slow down. Seeing someone eye to eye and as they are without judgement. So when you go on that date, you interact in a whole new level. Things are imperfect, but the goal is to not take things so seriously. This also allows you to express yourself and communicate with people in a more elevated and confident manner. Dating is exhausting! You might be putting out request to people, going through the bar scene and meeting people and the next day you’re tired and you just want a release from the world. Come to Cuddlist and rest, clear your head and allow yourself to be embraced. No pressure, no expectations, no performance required.